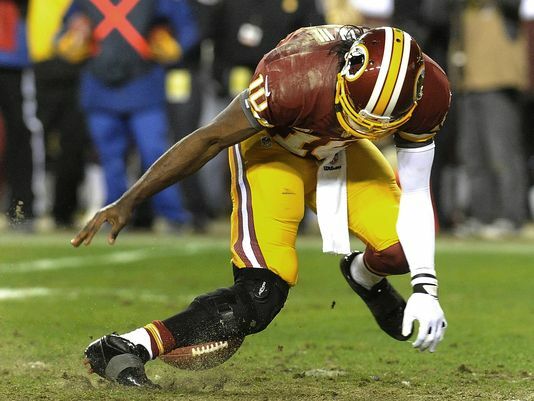 ACL Injuries: Career Threathening or Not? Michael Owen, Zlatan Ibrahimovic, Francesco Totti and Paul Gascoigne have all suffered anterior crucial ligament (ACL) rupture during their careers. While these injuries are relatively rare in professional football, when compared to muscular strains and ligament sprains, they can be extremely severe. While all of these players returned to the pitch, an unlucky few will not be so fortunate. Stuart Holden is one of the unlucky statistics. Stuart had a succession of issues to his knees, initially he injured his left knee in a tackle in 2011. He suffered a deep laceration to the outside of his knee from Johnny Evan’s studs. This required 26 stiches, and was not the worst consequence of the clash. A fracture of his femur ruled him out for 6 month. Stuart made a successful return from this injury, but in a routine follow up procedure, cartilage damage was noted and he was again out for a further 6 months. Again Stuart returned to the pitch, although this time it took 16 months of rehab and training. After a year and a half of regular football and a call up the US national team, Holden tore his opposite knee’s ACL in the final of the CONCACAF Gold Cup. By this stage Stuart’s knees were his weakest link. One knee injury had interrupted his training schedule and lead to 16 months of surgeries and recurrent rehabilitation. This would have led to combination of his right leg compensating for this left knee injuries, and small muscular imbalances. These small imbalances in his leg strength, power and agility would have developed due to the disruption to his high performance training over the previous 16 months layoff. This would have contributed to the development of his right leg ACL tear. After 9 months of rehabilitation, Stuart returned to the pitch again. Unfortunately his return last 23 minutes. He re-ruptured his right ACL, and only played a handful of games after this rehabilitation. The succession of injuries to Stuart’s knee punctuated the last few years of his career and ultimately lead to his retirement at the age of 28. Stuart was one of the unfortunate few who’s knee injuries, and specifically his ACL tear, ended his career early. His story highlights how serious an ACL tear can be. Even though stories like these are relatively rare at the professional level, the stats show that most team will suffer at least one ACL rupture to one of their squad players each year. This will rule someone out for 6-9 months, and may affect their performance on their return. Many players have lost that extra yard of pace after extended rehab periods – meaning that if they do return it maybe as a shadow of their former selves. Take the first two player mentioned in the article. Zlatan injured himself in his mid 30’s - usually a players twilight years. You would expect a player of his age to see his stats slowly deteriorate. However, prior to his injury he played 46 games and averaged over a goal every two games. A great return for a player in his mid 30’s. In his second season, post ACL rupture, he played 7 games scoring once. His ACL injury resulted in a dramatic loss of game time, and his goal return was the worst of his career. His ACL injury hasn’t stopped him playing, but it undoubtedly affected his effectiveness at the highest level. If we look at Michael Owen, we see a similar story appear. Michael was always susceptible to injuries, and his early years as a football prodigy were interrupted with minor muscular strains. He was, however, relatively consistent over all these seasons for goals scored and games played – meaning that these injuries didn’t have a detrimental effect on his footballing abilities. In 2007, with the England squad, he ruptured his ACL – perhaps all those previous injuries created muscular imbalance in his legs leaning him vulnerable to a rupture. By 2008, he had returned from a successful reconstruction procedure but he wouldn’t play for England again after that year. By 2009, Michael was now a squad player at club level. Unfortunately he would never reached double figures for goals scored in a season again. This was a dramatic turnaround for a player who 10 years earlier was challenging Zidane for the World Player of the Year award at only 19 years old. While Michael and Zlatan’s careers weren’t ended by ACL rupture, their phenomenal talent was dramatically affected. These stories that display the severe effects of ACL rupture lead us to a number of questions. What causes ACL tears? How can they be prevented? How are they surgically repaired? And when they do happen, what can be done to minimise their long term consequences and allow the player to return to peak performance? In this injury series will we present a weekly blog on each of these topics, coupled with videos to show you what goes on in one of sport’s most severe injuries.